We wanted to write a Texas Precious Metals review so that you could avoid some of the buyers remorse we have been experiencing recently after realizing we could have saved a lot of money for clients and friends if only we had known of Texas Precious Metals sooner. Our finding them at all was a result of researching the cheapest monster box for some friends and clients recently and uncovered this gem of a bullion dealer right in the heart of Texas, in a small town tucked in ranch country. The family behind this business have been doing business, as they say – the Texas way – for well over 100 years. And they have a good, solid reputation. While not located right close by to us, they are in driving distance when you have a nice sunny Winter day in Texas (68 degrees) and 70mph speed limits even on two lane highways. Whenever possible we like to meet in person the people we are going to do business with and especially those we might recommend. First thing we did after finding the TexMetals.com website was start doing a little digging. We made a phone call to find out what type of firm they are. It turns out they do NOT have a retail showroom of any kind but they DO accommodate customers who want to meet them in person, shake their hand and pick up the gold, silver or platinum products they sell. And since there is the distinct chance that we may want to sell our precious metals at some point – albeit at MUCH higher prices – we wanted to know about selling to them also. When it comes time to sell your gold and silver, you can ship it to them or hand deliver it. From what we have seen at this particular point in time the price they pay is higher than most others. Next we made a phone call to their banker who is listed as the Frost Bank contact for making wire transfers, the preferred payment method for most larger precious metals purchases. The man we talked to was very complimentary about the integrity of Texas Precious Metals for all the years they have been banking with him. No problems whatsoever. Since the company has the ICTA logo on their website, it seemed prudent to head to the website of the INDUSTRY COUNCIL FOR TANGIBLE ASSETS and double check that they are indeed a member. Sure enough, they are, and the person’s name listed as a company contact was one of the individuals we spoke to on the phone. Gold coins – modest selection including Eagles, Buffalos, Maple Leafs, Kangaroos, Philharmonics and Krugerrands. Some in fractional ounces besides. So while TexMetals does not have as broad of product range as some other bullion dealers, they have adequate product line diversification for bullion investors primarily interested in buying a precious metals asset class, more so than becoming a collector. 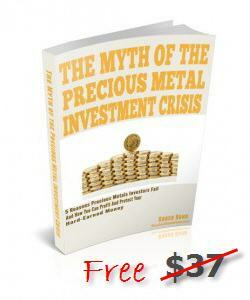 Who pays the freight cost is an important consideration when buying precious metals. 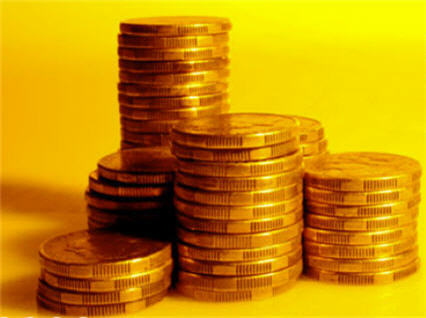 With Gold you have higher insurance costs and with Silver you have weight involved. Texas Precious Metals will pick up the freight bill if your order is over $6000 ($5000 as of 01/27/2014). That’s 4 ounces of Gold or a couple hundred ounces of Silver. Quite reasonable. As of Spring 2015 (March 27, to be exact), TexMetals offers FREE FREIGHT on ALL ORDERS – UPS Next Day Air – Awesome! You CAN get a discount if you offer to pick up the metal yourself. While that may or may not pay, it is nice not to have the UPS driver know too much about you, right? Which is another advantage of TexMetals over a company like OnlyGold. They primarily don’t use USPS, which, while insured can be a hassle if you have to drive to the post office and try to walk out with a heavy box of Silver. The USPS employees can see what it was insured for and despite you telling them it’s “machine parts” they might know better. And no, you can’t carry your firearm into a Post Office in Texas even with a concealed handgun license despite the term “going postal” having come about for a reason. Enough said. 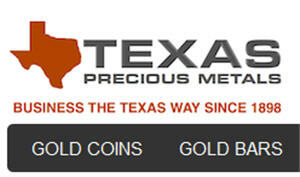 Here is a rare attribute of Texas Precious Metals, they will take Limit Orders! The orders are good for the client specified time limit and can execute in the middle of the night – which is often when we can see prices dip temporarily. We know of no other bullion dealer who will do this, save perhaps BullionDirect with their Nucleo Exchange, but that is buying from dealers and individuals. Limit orders are not something to be used if you want to make sure you are filled, but if you have an idea that maybe the price will be lower later in the day it is an opportunity to save some money, sometimes BIG money. The order will be placed by phone, confirmed by email and held by credit card. With TexMetals you can normally place an order in the morning, wire the funds the same day and make an appointment to pick up your metal the next day if you want. Otherwise shipping will be prompt. They will place a temporary credit card hold of 5% when you place the order but promptly remove the hold when good funds are received. Yes, they do take checks but expect to wait for funds to be absolutely cleared before shipment or pickup of the precious metals. Texas Precious Metals does work with Gold IRA accounts including rollovers and even claim to specialize in that. We personally have not looked into that service but many do inquire about it. Further, should you want to buy and store Gold, Silver or Platinum in the United States TexMetals works with CNT depository and can arrange for you to have your precious metals transported, stored securely in both allocated and segregated fashion and insured against loss with Lloyd’s of London. We have frequently written that storing valuables around the house is not our recommendation, and while storage fees do add up, one reason we review these companies is to find reasonable rates on services like gold storage. Letting trusted professionals store your metal can go a long way toward sleeping better at night, much better than having this stuff under your mattress and a gun under your pillow. We don’t know how long Texas Precious Metals has been one of the lowest priced bullion dealers, but we can only imagine we and our clients would have saved thousands of dollars had we known about them sooner. After meeting them and doing some business on behalf of our clients we can only say the the transactions could not have gone smoother or more enjoyably. Stop in and meet them for some Texas hospitality. Just don’t plan on any monkey business with them, as stated on their website, it is Texas and everyone there is armed! Keep an eye out on this site for new TexMetals coupon codes as we get them.